in graphic and web design. 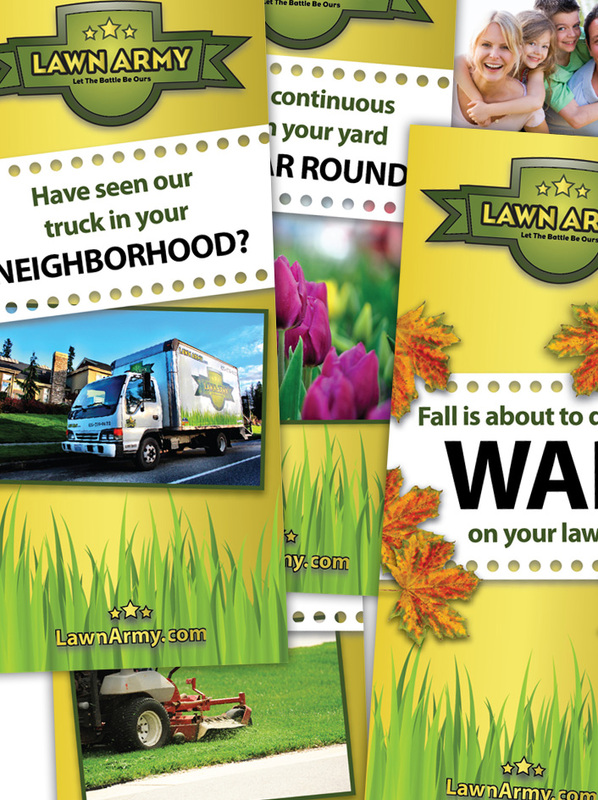 I produced this set of twelve promotional leaflets for the franchise business Lawn Army, based in the United States. 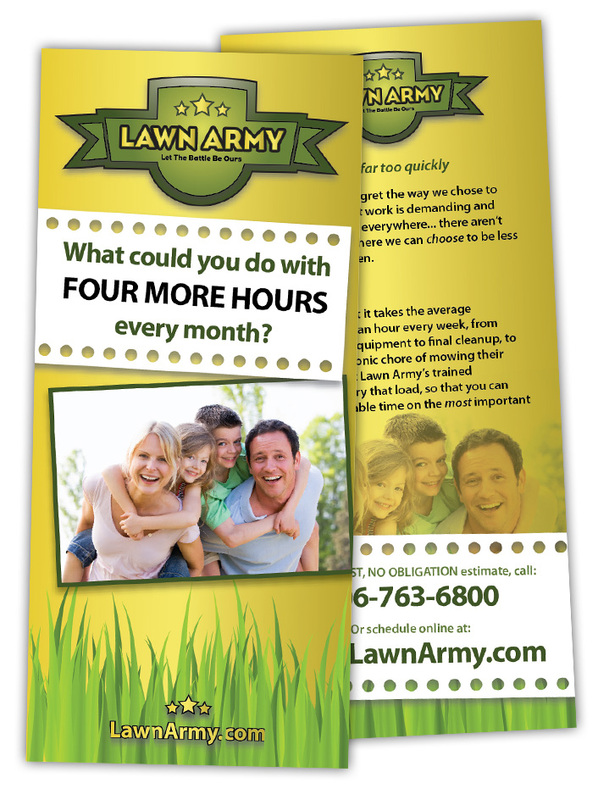 The objective was for each leaflet to promote a particular service offered by the business in order to attract new customers. 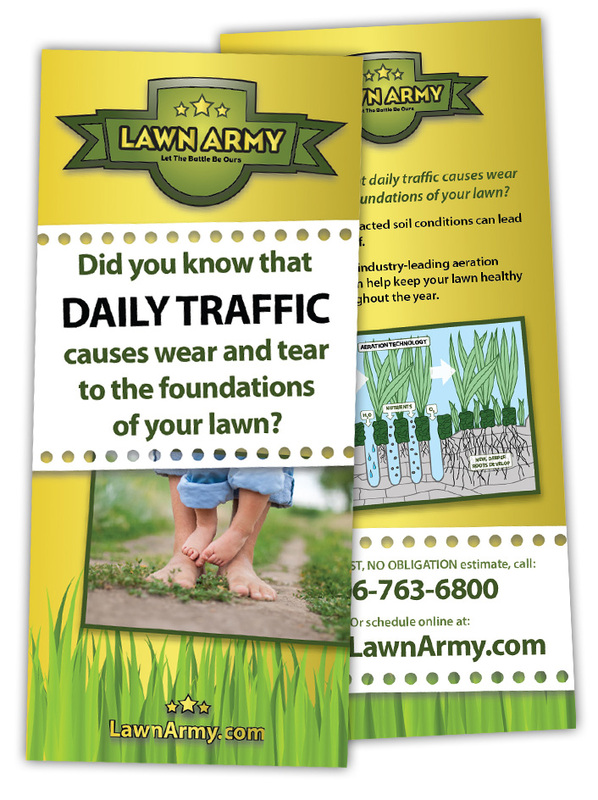 A strong but adaptable design was established for the leaflet series building upon the existing Lawn Army brand. I then sourced the various images required for each leaflet, added slight variations and produced illustrations where necessary. Finally, the artwork for each leaflet was outputted according to their printing requirements. If you'd like to talk more about a graphic or web design project then I'd love to here from you. ...Or just use the contact details below. Thanks! I'm a Gateshead (Tyne and Wear, UK) based freelance creative who specialises in graphic and web design. From logos to books, icons to websites, I want to try and help you turn these things into reality. Website by Dave Hewer Design. Powered by WordPress. © 2019 All material under copyright.